Ying Liang’s bleakly comic story of a young man from the country trying to find opportunity in a new world order explores the impact of an unregulated, ends-justify-the-means capitalism on the lives of many (unprepared) Chinese today. Luo Liang works for “Boss Peng,” a ruthless property developer, and quickly adopts a morality symptomatic of much wider social trends. The title is slyly taken from former Chinese leader Deng Xiaoping's famous justification of free-market economics: “It doesn't matter if it is a black cat or a white cat. As long as it can catch mice, it's a good cat.” Ying's pointed response: “In a society dominated by these values, tragedies will be continuous.” “Ying’s invocation of the three destinies of modern Chinese man—as wanderer, corrupt boss or tragic loser—is enriched through sly wit, excellent work with nonprofessional actors, and his insertion of Chinese rock group Lamb’s Funeral into scenes where the band functions as a kind of Greek chorus to the proceedings.”—San Francisco Film Festival. Sharon Carstens, Professor of Anthropology and International Studies at Portland State University, will introduce the film and facilitate a post-film discussion. BIRD’S NEST follows Swiss star architects Jacques Herzog and Pierre de Meuron (London's Tate Modern, Barcelona Forum, San Francisco’s de Young Museum) as they literally and metaphorically build bridges between two cultures, two architectural traditions, and two political systems. 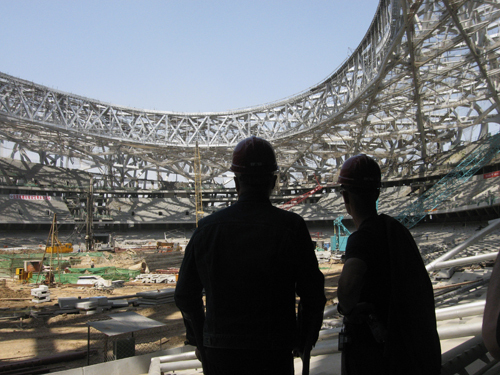 Their goal was to create a massive 91,000-seat stadium in the heart of Beijing that would be a new kind of public space—“anti-monumental, a building for the people”—to endure long after the Olympic torch was extinguished. The Chinese people nicknamed the stadium “Bird’s Nest” early on; by naming it, they adopted it as their own. The stadium and their design for a new city district in Jinhua—involving hotels, offices, and residential buildings—reveal that these architects find solutions not in the comfort of the theoretical, but in cultural encounters with a society in rapid transition. Playfully pitting youth culture against tradition, Ying interrelates the reality of a young professional woman (the “other half”) with the changing economic and social structures of contemporary China. Xiaofen lives in one of southwestern China's rapidly growing cities, but her work interviewing clients and documenting cases for a law firm is unexciting. When not at work, she must deal with her down-and-out boyfriend. Life is also hard for her girlfriends and her mother, and Xiaofen is increasingly distressed by rumors of a disaster at the local chemical plant. A brutally frank and sometimes hilarious portrait of the social and environmental problems plaguing contemporary China, THE OTHER HALF is "One hell of a beautiful film... Endlessly haunting...with serene, even joyous consciousness that is the opposite of despair."—Variety. "A fierce and harrowing cry of political rage. "—The New Yorker. Bruce Gilley, Assistant Professor of Political Science at Portland State University, will introduce the film and facilitate a post-film discussion. The program of economic reforms initiated in China was intended to finance the modernization of the nation. But what Communist Party leaders called "Socialism with Chinese characteristics" is regarded by many as a return to a capitalism that holds many back. Filmed in five different regions of China, UMBRELLA provides a telling look at the vast changes that have taken place in Chinese society, including a massive migration from the countryside to the cities, the rise of a prosperous new class of businesspeople, the emergence of millions of new college graduates competing for a shrinking number of jobs, and the neglect of China's largest population group, its rural peasants. In a purely observational style, with no narration or commentary, UMBRELLA takes us to a typical factory in Zhongshan, Guangdong Province, where young employees engage in a monotonous routine manufacturing umbrellas at a minimal piece rate. At a massive shopping mall, the "World's Largest Small Commodity Market," in Yiwu, Zhejiang Province, their handiwork is sold at much higher prices by a newly rich class of merchants. Museum galleries closed Saturday evening. “Struggling screenwriter Hui Rao shuffles around his apartment in his bathrobe, drives on packed roads encircling the bustling city, and generally plods through life, trusty cigarette in hand. Rao, who admits he cannot recall the last time he left Beijing, ticks off figures illustrating the city’s massive growth (two-and-a-half million cars roam the streets, but in six months the number will reach three million) and manages to inhabit only void spaces: empty apartments, vacant cars, an almost unpopulated gym. A self-acknowledged failure as a scribe, Rao’s monotone monologue narrates throughout, as he obsessively rewrites a rejected script he cannot seem to forget. He escapes the quotidian banality of his life by delving into the story of his protagonist, Lin Hao, a murderer on the run who travels from a rural southern village to the icy outpost of Mohe, China’s most northern point. 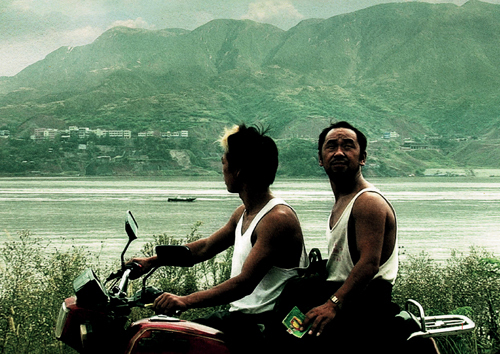 Xiaolu’s novelistic film ruminates on urban isolationism in a rapidly expanding China. While Rao inhabits a decidedly prosperous circle of artists and intellectual elite in Beijing, the barren, quietly vital hinterland of Mohe seems to him a much more attractive world.”—Pacific Film Archive. Set against a background of evocative landscapes and modern cityscapes, Getty’s film takes a look at the vibrant art scene in Beijing and Shanghai that has emerged since the Cultural Revolution ended in 1979. 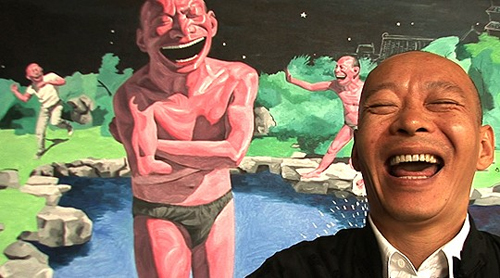 Many of China's contemporary artists are the rock stars of the art world, living a lifestyle more congruent with New York than the People's Republic of China. Getty includes interviews with some key figures, including Ai Weiwei, who is widely seen as the father of the country's conceptual art and was one of the architectural designers of Beijing's Bird's Nest stadium; and Zhang Xiaogang and Xu Bing, among China's most famous artists outside the country. At a time when the world is looking to the East, CHINA POWER asks whether Chinese artists are leading the way forward. Bruce Guenther, Chief Curator and Curator of Contemporary Art at the Portland Art Museum, will introduce the film on Sunday. This is the first of two programs (Part II will screen on October 29) of short films showcasing the creative voices of over 30 Chinese artists and filmmakers who are defining contemporary Chinese culture. Capturing the prevailing moods and diversity of life in China today, the films range from the social effects of urbanization and China's fascination with new wealth to skateboarding, fashion, and other expressions of pop culture. Some highlights of the program are Wang Bo’s DAY DREAM, an animated portrait of a day in the life of Beijing; Cao Fei’s MILKMAN, a portrait of a humble man on a bicycle as he makes his rounds between new and old Guangzhou; Wu Ershan’s LOOK AROUND, a vibrant look at life in a bustling restaurant; Guo Yuanyuan’s THE ANTS, an animated social history; Xiao Yuankun’s MOUSE CHESS, a meticulously structured 3-D animation about what winning really means; Zhao Bandi’s BANDI PANDA FASHION SHOW, a parody of the nation’s burgeoning fashion week; and Li Qiuqiu’s THE PEOPLE’S SKATEBOARDS, a fast-paced, hip-hop whisk through the modern streets of Beijing. The films in MY CHINA NOW were commissioned by Intelligent Alternative, Beijing, to explore in a visual way the changing lives of Chinese people today. 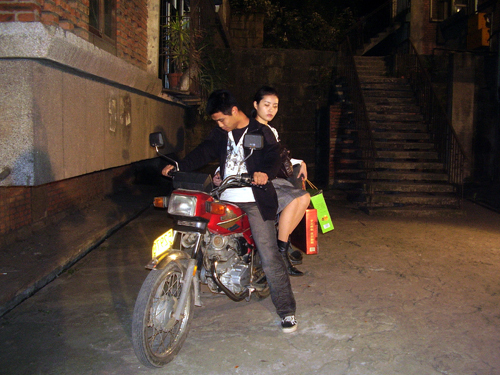 Intelligent Alternative was established in 2006 to support emerging artists by developing projects focused on cross-cultural and inter-disciplinary exchange between China and the outside world. With a humanist gaze and wry wit, Chang returns to the gorgeous, now-disappearing landscape of his grandfather’s youth to trace the surreal life of a “farewell cruise” that traverses an epic waterway forever changed by the largest hydroelectric project in history, the Three Gorges Dam. Chang’s “Upstairs-Downstairs” approach captures the microcosmic society aboard the luxury liner. Below deck: a bewildered young girl trains as a dishwasher, sent to work on the ship by her peasant family whose home will be submerged by the floodwaters of the Yangtze. Above deck: a phalanx of wealthy international tourists are out to catch a last glance of a disappearing way of life. The teenage employees serving them, now tagged by upper management with Westernized names like “Cindy” and “Jerry,” warily grasp at the prospect of a more prosperous future. 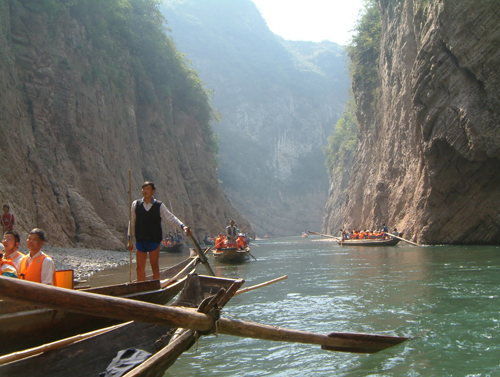 Singularly moving and cinematically breathtaking, UP THE YANGTZE gives a human dimension to wrenching change. Sponsored by the Portland Chinese Times. Jia casts a compassionate eye on the daily lives, loves, friendships, and disparate dreams of the twenty-somethings from China’s remote provinces who come to live and work at Beijing’s World Park. A bizarre cross-cultural melange of Las Vegas and Epcot Center, World Park features lavish shows performed amid scaled-down replicas of the Taj Mahal, the Eiffel Tower, St. Mark’s Square, the Pyramids, and even the Twin Towers. From the sensational opening tracking shot of a young dancer’s backstage quest for a Band-Aid to poetic flourishes of animation and clever use of text-messaging, Jia pushes past the kitsch potential of this surreal setting—a real-life Beijing tourist destination—to explore the themes of alienated youth, contemporary Chinese history, and globalization. Wendy Larson, Professor of East Asian Languages and Literatures at the University of Oregon, will introduce the film and facilitate a post-film discussion. 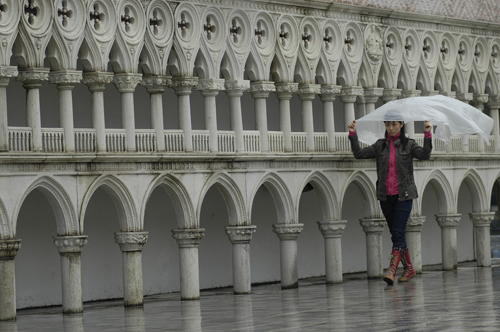 The second program of short films by Chinese filmmakers (see Part I, Oct. 15) includes 16 works offering unique prisms through which to view contemporary Chinese society. Among the selections: Wu Ershan’s ZHAI YUN’S CHINA, in which he invites a blind 11-year-old to describe his China; Jin Shan’s 25,000 MILES TO HEAVEN, a meditation on the utopian ideals of the past in the light of the present economic rollercoaster; Wang Peng’s RMB, which considers money, money, money: a symbol, an emblem, a security net, and the root of numerous new evils; Wang Qingson’s SKYSCRAPER, a monument to human ambition, but perhaps an allusion to actual triumph; Xue Li’s 751: A PROCESS OF MODERNIZATION, documenting the makeover of a former factory complex into a new consumer paradise; Chen Zhong’s SICHUAN STREET SONGS, which captures the songs performed day in and day out by local vendors pounding the streets of Chengdu; Shu Haolun’s STRUGGLE, which chronicles a self-taught lawyer’s battle to fight for health care for injured workers in the fast-paced mecca of Shenzhen, where streets may be paved with gold, but factories definitely are not; Shu Haolun’s YIWU, exploring a small town in Zhejiang Province that is claimed to be the Mecca of “Made in China” goods. Juxtaposing three places, three modes, and three eras, all co-existing in contemporary China, Jia offers a sometimes devastating, but always compassionate, image of China's fashion world, the largest exporter of garments on the planet. Beginning in a mammoth factory filled with buzzing machines and breaking down workers, the film moves to its heart, the emerging fashion designer/artist Ma Ke, whose anti-luxurious, painstakingly crafted, and literally earth-bound “Wuyong” (“Useless”—intended more as a conceptual work of art than a prêt-à-porter) line links memory, history, and fabric and caused quite a stir at the 2007 Paris Fashion Week. The film’s final section, filmed in the Shanxi mining region, follows Chinese fashion even further to its roots, introducing us to two small-town tailors as they repair well-worn clothes that could tell a thousand tales. “It is a challenge to China’s rapid development and a kind of rebellion...it challenges the obliteration of memory, the over-exploitation of natural resources, and the speed at which all this is happening...Clothes, a layer of substance in close contact with our skins, also have memories.”— Zhang Ke Jia. “He peels away the layers to show the predicament of the country today, the weight of the past, the pressure of being a superpower, and the workers who toil for little gain.”–International Herald Tribune. Jia’s empathetic portrait of those left behind by a modernizing society is a breathtakingly poetic hybrid of documentary and fiction. As in UP THE YANGTZE, China’s Three Gorges hydro project is the backdrop for STILL LIFE. Jia charts the great changes that come to the town of Fengjie, where countless families who have lived there for generations have had to relocate to other cities. Fengjie’s old town, which has a 2,000-year history, has been torn down and submerged forever, but its new neighborhood hasn’t been finished yet. There are still things that need to be salvaged, but also things that must be left behind. Life-changing choices face Sanming, a miner returning to Fengjie after a 16-year absence to search for his ex-wife, and Shen Hong, a nurse who has come to Fengjie to look for her missing husband. Sanming and Shen will find who they’re looking for, but in the process they will have to decide what is worth salvaging in their lives and what is not. “The setting speaks; it's still-life. Even more than the winding river and the misty mountains, STILL LIFE (the Chinese title translates as 'The Good People of Three Gorges') vibrates with traces of human presence—deserted construction sites, shabby cluttered rooms, and moldering factory works.”—J. Hoberman, The Village Voice.